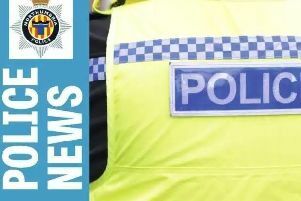 Motorists are being warned not to drink drive this summer as Northumbria Police launch a drink and drug driving campaign - on the first day of the World Cup. Every summer the Force's Operation Dragoon team support a national summer campaign to crackdown on motorists who drive under the influence of drink and drugs. Officers across the region will be conducting roadside checks, testing any driver suspected of drink or drug driving and also targeting known drink/drug drive offenders. All drivers involved in collisions will also be breathalysed and potentially subject to drug testing. This year's campaign has been moved to coincide with the beginning of the World Cup in Russia today as fans across the country get behind their team. Now Sergeant Matt Sykes, head of Op Dragoon, has warned motorists not to pay the ultimate penalty - by getting behind the wheel under the influence of alcohol and drugs. He said: "We run this campaign every year and have had some excellent results in taking drink and drug drivers off the road which makes the community a safer place. "Normally the campaign will run throughout the month of June but it has been moved this year to coincide with the beginning of the World Cup. "We know that more people are going to be enjoying a drink as they watch the football this summer. "However, our message is simple. Don't take the risk of getting behind the wheel of a car when you have been drinking or using drugs. "You are more likely to cause a collision and that could have a devastating impact on all those involved in the incident. "If you are going out to watch the football then make sure you know how you are getting home and have suitable arrangements in place. "If you can't make suitable arrangements to get home then it is simple - don't drink alcohol and drive. "When you have been drinking your reaction time slows down and it is more difficult to focus on the road and drive in a safe manner. "Not only will you face arrest, a driving ban a fine and potential prison sentence but you could end up causing serious injury and taking the life of another road user. "Road traffic collisions tear families apart and people need to be aware of the potential consequences of driving over the limit prior to getting behind the wheel." Extra officers are on patrol armed with breathalysers and drug testing kits and road side stations have also been set up to test people for drink and drug driving. The activity is part of the National Police Chief Council's (NPCC) national campaign to target drink and drug drivers.